Last year my neighbors moved out and left some stuff out by the trash cans. 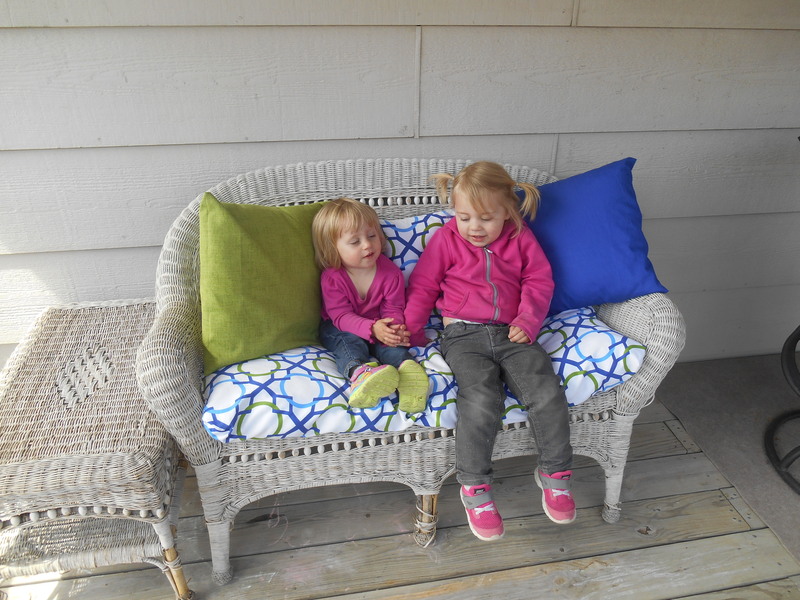 I always wanted some wicker outdoor furniture and… I got some. 🙂 The cushion was not that great… and covered in dog hair… gross. I have to say that the finished product is the most colorful thing we have in our possession. Most of our stuff is beige, though I love color. I’m just a little shy about using it. 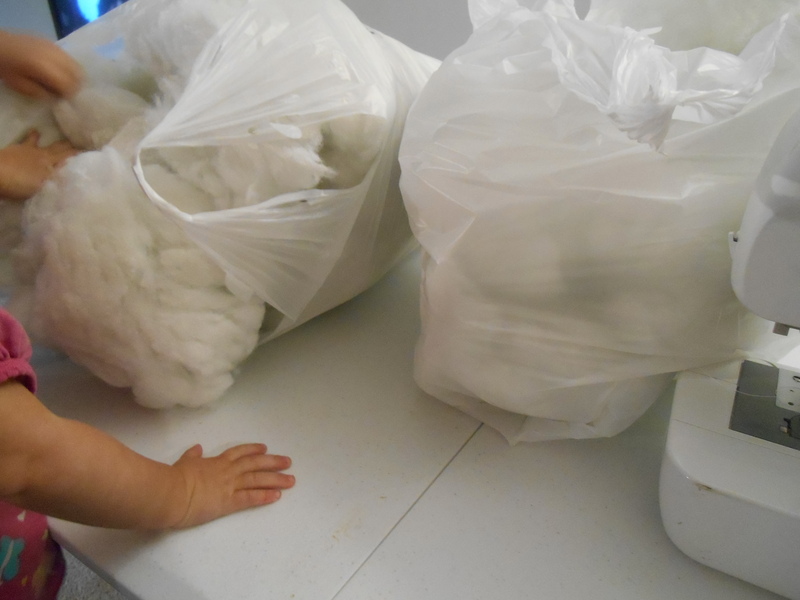 So I took apart the cushion and took all the stuffing out. 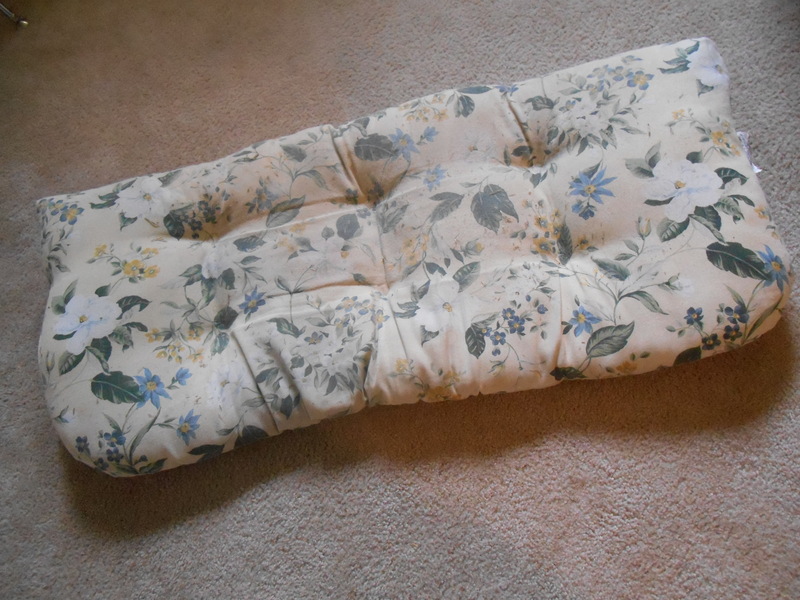 I had hoped that it was just a cover and all I’d have to make was a cover, but no, the stuffing was polyfil. 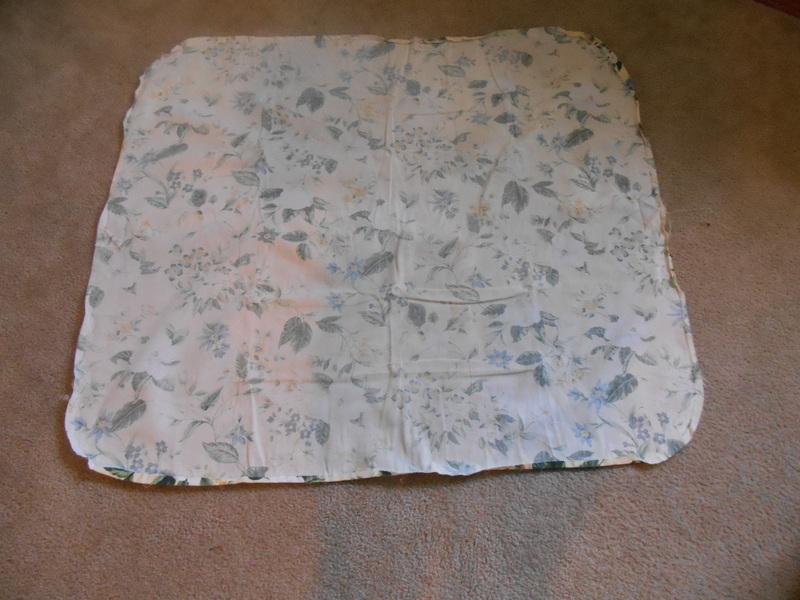 I used the old fabric as a guide for the new fabric. 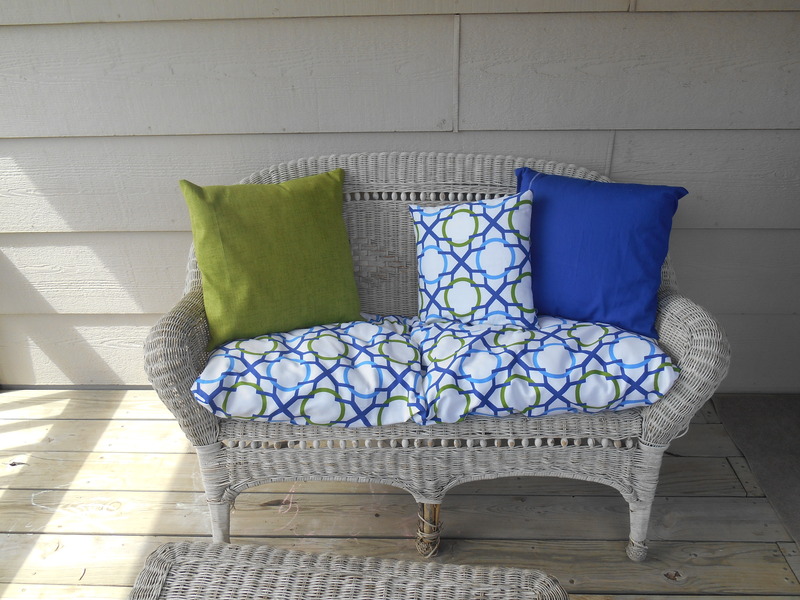 I used outdoor fabric from Joann’s. 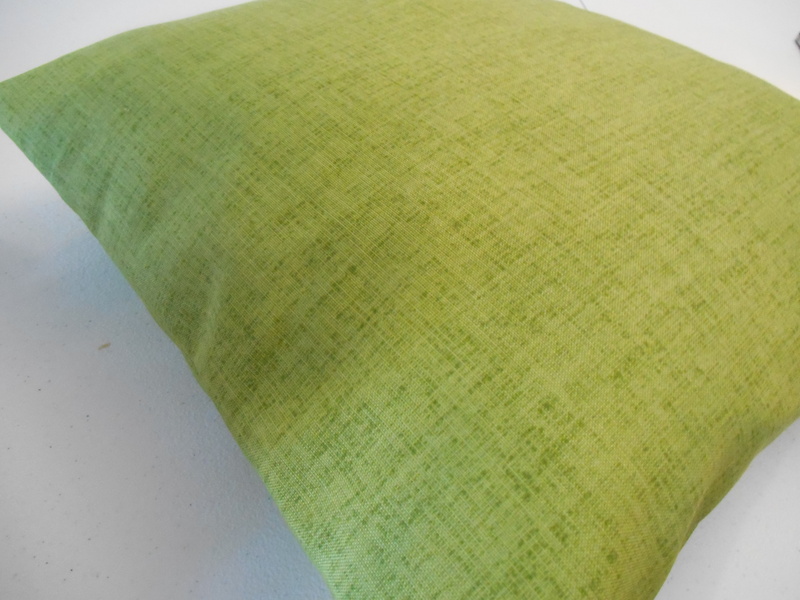 I also bought some fabric for some pillows for back cushions. 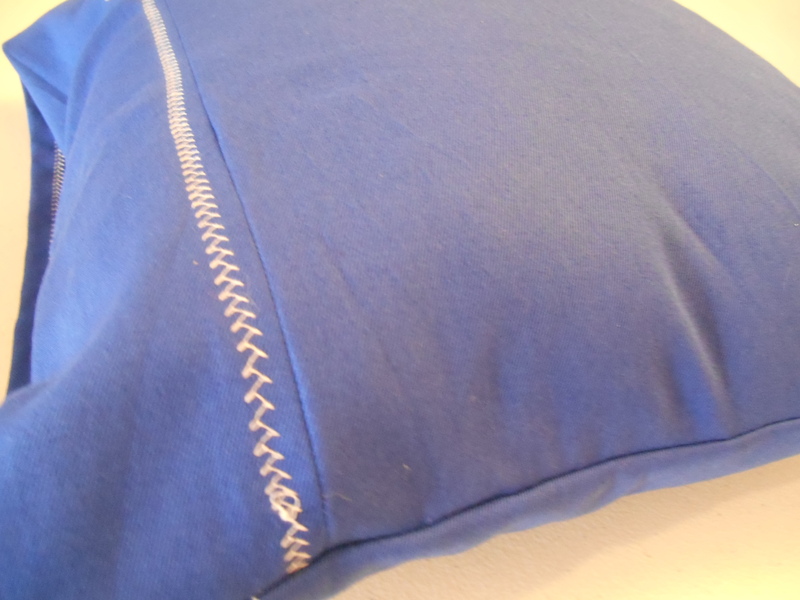 I found a pin on pinterest for directions on how to sew pillow covers. I bought the pillow forms at Joann’s for 50% off. 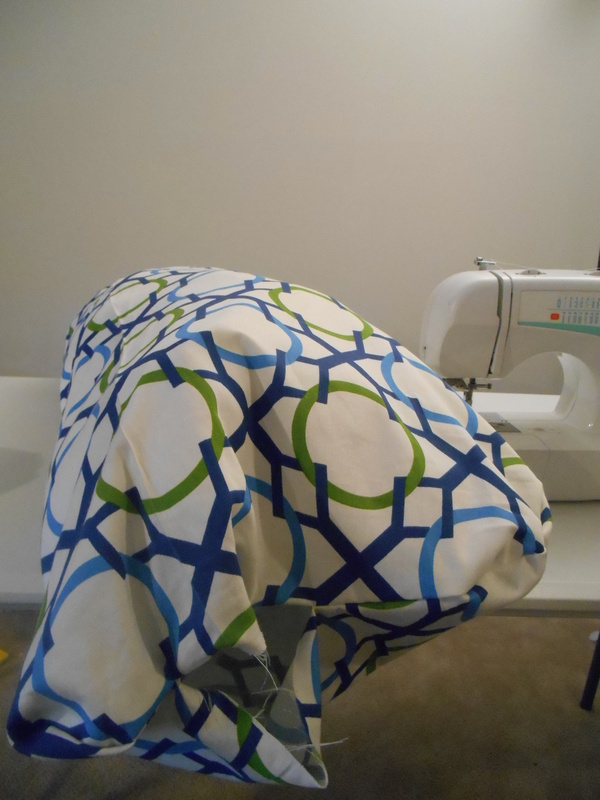 I was a bit distracted while I was cutting the fabric and didn’t double check before I cut. 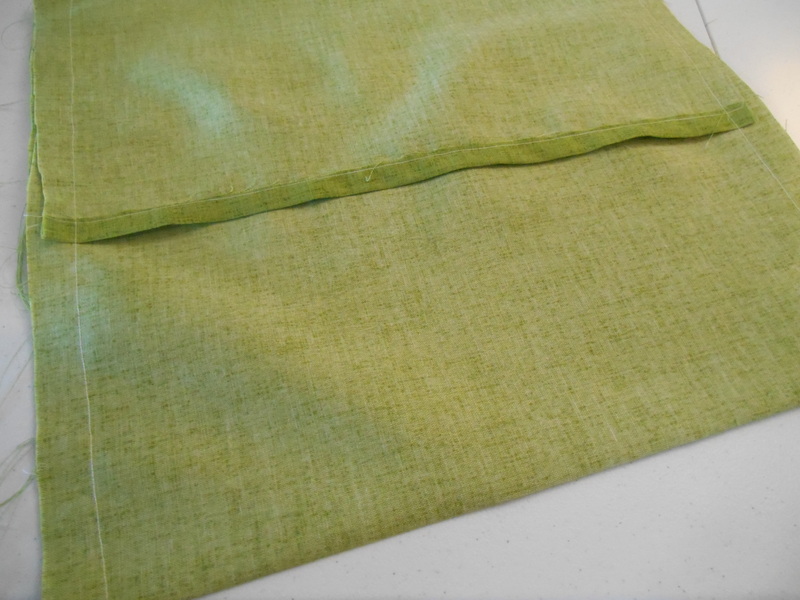 I realized that I didn’t have enough fabric to make the envelope closure in the back… so I sewed on some more fabric and thought it’d make it look intentional by putting a contrasting stitch down beside the seam. 🙂 I actually like how it looks. Except for I’m not as clean of a sewer as I’d like. I just realized that my stitches don’t look super clean in that picture. I had better success with this pillow. Here’s the finished product… well as finished as it could be. I’m waiting for it to get really hot so I can spray down the furniture so it’ll dry quickly. I also probably need to paint it and maybe re-cane the legs. Or I could not paint it and it’ll be shabby-chic. What do you guys think? Any recommendations? ← Red and Purple Hat Finished! 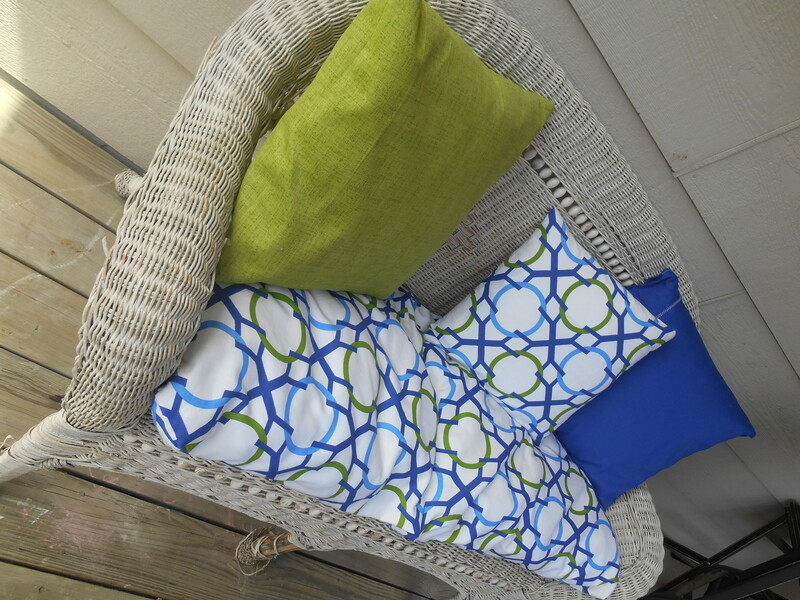 I love shabby chic stuff….but the cushions are brighter colors than most shabby chic. Also painting it would give the wicker some protection from the weather. So my vote is for painting. ❤ it!! !